The Siberian tiger is an imposing feline. It lives in the taiga regions of Asia. The length of its body, from head to tail, can measure up to 4 metres. 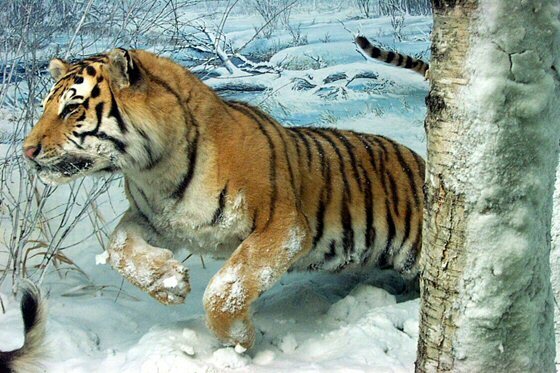 The Siberian tiger is now threatened with extinction. The tiger population, estimated in the early twentieth century in about 100 thousand units, has been estimated to be between 5,000 and 7,500 by now.